Macau’s casinos continue to experience setback after setback as Beijing and Macau continue to tighten its policies to ensure that money laundering and anti-corruption activities are curbed. The anti-corruption crackdown which Beijing launched in 2014 has resulted in Macau’s casinos experiencing 18 months of consecutive revenue decline. The casino industry has already lost over $100 billion and the gross gaming revenue decline in November 2015 was fixed at 32% when compared to the same period in 2014. This week Macau’s casinos once again took at hit after the South China Morning Post published an article which stated that China will now focus on enforcing strict policies against all illegal and unlicensed operations of China UnionPay Co. point of service devices. These devices are used by millions of Mainland Chinese to transfer money to a number of countries and the government is concerned that these terminals do not have strong policies to monitor if their facilities are being used by criminals for money laundering activities. All of the top casino brands in Macau reported a drop in their share prices once the South China Morning Post published the article. The benchmark Hang Seng Index dropped by 1.1 percent; MGM China Holdings Ltd, Galaxy Entertainment Group Ltd and Wynn Macau Ltd fell by 0.2 percent; Sands China Ltd. dropped by 1.7 percent and SJM Holdings Ltd experienced the biggest drop of 2.8 percent. On the 8th of December, China’s Central Bank and members from UnionPay decided to hold a meeting to address issues relating to preventing illegal transactions at their terminals and forming robust policies to ensure that fake transactions will be declined. If these policies get rolled out, then millions of vendors who have UnionPay will be forced to ensure that their devices are registered and that all procedures are followed before their clients can avail UnionPay facilities. 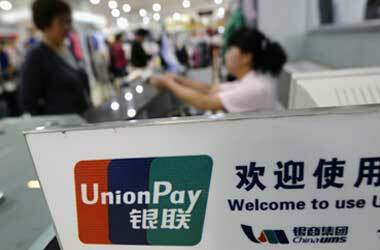 China’s government has made it clear that it plans to impose strict sanctions in the near future on UnionPay vendors who do not follow the adhered guidelines.